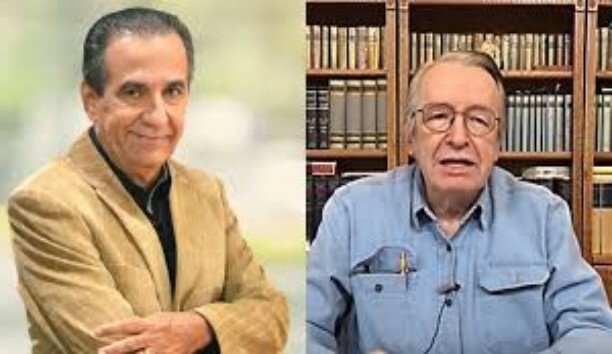 As an attempt to challenge Brazilian televangelist Silas Malafaia, who called him an astrologer, Olavo de Carvalho, who is the Rasputin of Brazilian President Jair Bolsonaro, appealed to Philip Melanchthon, who he says he was the “true intellectual leader of the Reformation.” Carvalho decided to face Malafaia, even knowing that today he is the greatest evangelical leader in Brazil. According to Carvalho, Melanchthon “was an astrologer of profession and heart.” Incidentally, Carvalho accuses Melanchthon, Luther, and Calvin of having believed much more in astrology than he does. Does this mean that Melanchthon, Luther and Calvin founded astrology schools? There is no historical record of this. But there are historical records indicating that Carvalho founded the Jupiter School in the late 1970s in São Paulo, Brazil. He also founded the Brazilian Society of Astrocharacterology in 1989. How then did Melanchthon, Luther and Calvin supposedly believe more in astrology than Carvalho does? Generally, those engaging in astrology and other kinds of occultism eventually dive into much more occultism. This is what happened to Carvalho: his published books and schools founded in the 1970s and 1980s are unmistakable, undeniable and inerasable marks of his obvious occultism. They also took him to Islamic occult tariqas and their sexual orgies. In 1980 he was interviewed by Veja, the Brazilian counterpart of Time magazine, as one of the greatest astrologers in Brazil. During the 1980s, the extinct TV Manchete consulted him as an astrologer. But was Melanchthon the true astrologer? Melanchthon is having a fit of laughter in his grave. Philip Melanchthon (1497 – 1560), was a victim of the tendencies of his time. He studied at Catholic universities. And what other choice was there? None, for all the universities in Europe were under the control of the Catholic Church. At the University of Tübingen, teachers taught jurisprudence, mathematics, medicine and astrology to Melanchthon. Why did Catholic universities mix astrology in their classes? Doctrinal weakness. Today the Catholic Church in its institutions seems not to make such a mixture. Who taught astrology to Melanchthon at a Catholic University? Father Johannes Stöffler. Astrological indoctrination in the Middle Ages Europe was 100 percent Catholic. What amazes me is that the Catholic Church was so “careful” with its doctrine using the Inquisition to torture and kill Jews and Protestants who had religious views different from Catholic doctrine, not sparing them, but it generously exempted astrology. At that time, the Catholic Church taught astrology as a kind of science. Can you suspect why Carvalho loves so much medieval Catholicism that loved astrology and the Inquisition? The Catholic Church made the very serious mistake of teaching astrology as if it were as scientific as mathematics and medicine. In fact, the Catholic Church stuck astrological indoctrination in the midst of mathematics and medicine in its university courses. However, the Reformation made a difference. The Reformation stopped the Catholic astrological contamination that affected Melanchthon and other reformers who received Catholic education, just as evangelicals today are stopping the contamination of Carvalho with its charge of astrology and other kinds of occultism. Martin Luther (1483-1546), who founded and commanded the Protestant Reformation, said: “Astrology is humbug” (Schaff’s History of the Church). “Astrology is framed by the devil, to the end people may be scared from entering into the state of matrimony, and from every divine and human office and calling; for the star-peepers presage nothing that is good out of the planets; they affright people’s consciences, in regard of misfortunes to come, which all stand in God’s hand, and through such mischievous and unprofitable cogitations vex and torment the whole life” (Luther’s Table-Talk). Such a stance explains how astrology, which had space in Catholic educational institutions, had no place in Protestant institutions. Such a stance also explains Carvalho’s anger, which spares no curse at Luther. Protestantism came to do a cleaning, removing all rubble that the Catholic Church has been accumulating for hindering the knowledge of the Gospel. One of these rubbles was astrology in Catholic universities. Yet, why does astrologer Olavo de Carvalho need to appeal to historical dishonesty to defend himself? Why insinuate that astrology was part of the Reformation when it was explicitly condemned by Luther, the founder of the Reformation? Why hide the fact that Melanchthon’s astrology knowledge was 100 percent fruit of Catholic universities? Why hide the fact that Melanchthon’s knowledge of astrology was 100 percent fruit of the teachings of a Catholic priest? Why say that Melanchthon’s astrology was greater than his if the opposite is true? If Melanchthon and other young people of his generation who had been indoctrinated in astrology by priests in Catholic institutions can be called astrologers, you can only conclude that Olavo de Carvalho, to that extent, is a hyper astrologer. So instead of calling Silas Malafaia “chatty,” he should look in the mirror at his own long dirty tongue. If he cannot even gauge the past with honesty, how can he boast of being an excellent tipster of Brazil’s future? Only an astrologer and humbug, using Luther’s term here, would have the nerve to do that. I’m just not going to say that he is incurring in vexation by being easily unmasked in this article because apparently for decades he does not know what shame is. If astrologer Olavo used Melanchthon’s bad example to imply that evangelicals have no morals to criticize astrology, the shot backfired. We are not the first to condemn astrology. Luther did this 500 years ago. And even if Luther had not existed, would the Bible be insufficient to condemn astrology? If with much less astrological experience Melanchthon is accused by Carvalho of being “astrologer of profession and heart,” why is Olavo de Carvalho so offended when he is called an astrologer? After this cosmic blunder, he will never again have an excuse to complain when he is called an astrologer. If Melanchthon, who never founded schools of astrology nor gave an interview to Veja magazine and to Brazilian television stations on astrology, can be called “astrologer,” what should Olavo de Carvalho be called? Cinderella? The Catholic Church is very careless about spiritual matters. She was extremely careless about astrology, teaching it as science to thousands of its students, including Melanchthon. That is why astrologer Olavo feels so comfortable in the Catholic Church, just as 500 years ago, at the time of the birth of the Reformation, astrology felt very at home in Catholic universities. Is it any wonder that the vast majority of Carvalho’s adherents are Catholic? The few evangelicals who follow him have gone so crazy that they advocate impossible issues, including the Inquisition and astrology. It is known the case of Professor Ana Caroline Campagnolo, who fights Marxist indoctrination in schools, but publicly confessed that she did astrology indoctrination in students. She is Protestant, but it was not in the Protestant church that she learned to value astrology. She is Carvalho’s adherent. Like every Carvalho’s adherent, she puts the teachings of astrologer Olavo above the evangelical faith. Luther’s works include several thick volumes. It is obvious that Carvalho never read a page of these volumes. It was precisely for lack of reading that he made the misconception that Melanchthon was the “true intellectual leader of the Reformation,” when Melanchthon left few written works, but Luther, in a time when there was no computer or typewriter, left many more bulky works than Carvalho did. Carvalho not only cursed Luther for total lack of arguments, but also because he did not read the works of Luther. If he had read it, he would fatally see Luther saying that astrology is nothing more than humbug and devilish. What, then, to call a man who in his Jupiter School in São Paulo spent years teaching humbug and devilish things to students, but today dissimulates “philosophically”? Honest or cheater? What to call a man who does all he can to hide his solid past as a professor of astrology? Honest or cheater? What to call a man who instead of recognizing that he was a professor of astrology, gives the excuse that he only studied a little astrology? Honest or cheater? What to call a man who instead of recognizing that he was an astrologer of profession and heart, prefers now to point his finger at Melanchthon, who learned all of astrology within the Catholic Church directly from a priest? Honest or cheater? Henceforth, I will call him “an astrologer of profession and heart.” If by the astrologer’s tricky rule, Melanchthon is, he is, by the rule of honesty, much more. While Luther and Calvin spoke against astrology, it is clear that one of the greatest astrologers in Brazil would speak against them.